Above ground pools aren’t created equal and some are much better than others. And, in Wisconsin, with harsher winters and elements, the type of above ground pool you choose matters. Because above ground pools generally aren’t considered permanent structures, many of our clients add landscaping or decking around their above ground pools to create more pleasing aesthetics. This is something many above ground pool owners should and have considered prior to purchasing. Penguin Pools will help determine what is the best above ground pool for you and your family. 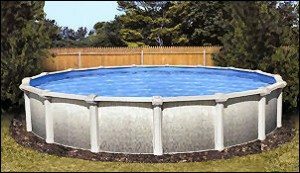 Penguin Pools installs Rockwood above ground swimming pools, and we recommend that any potential swimming pool owner considering an above ground pool consider this pool as they are built to be permanent. This is the best above ground pool in the market. 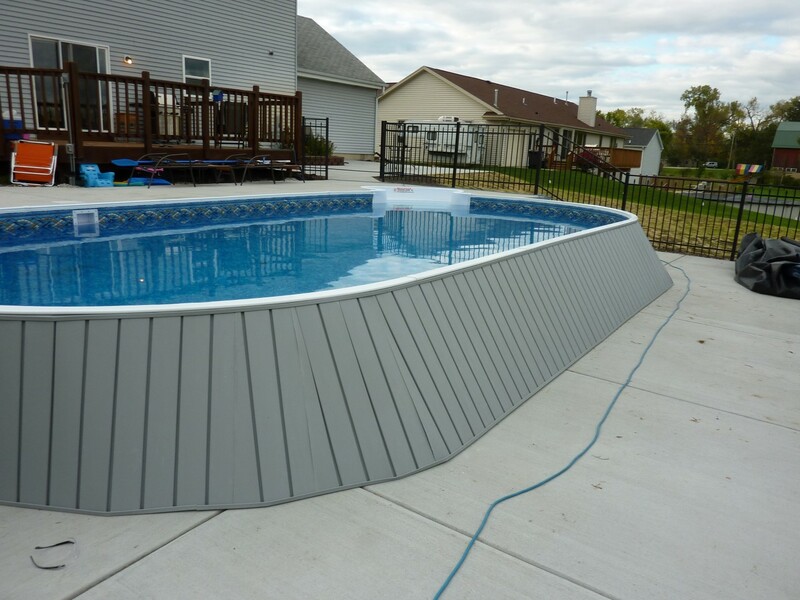 Similar to our inground pools, they have walls that are bolted together to make a solid frame. If anything were to happen to a Rockwood pool wall, it would get removed and replaced. 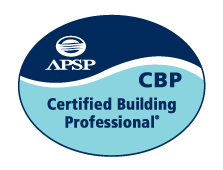 This prevents you from having to replace the entire structure like a standard above ground pool. Rockwood pools are made of steel, making them very strong . . . allowing you to bury these pools and not lose your warranty.